Raxstar And Sunit Bring The Heat In "King Midas"
After dropping some bangers in recent years, Pak Man took a break from music so that he could come back in a major form. Currently in Atlanta – he’s been grinding it out to make new music among the Migos and the Sonny Digital’s of the world. Now, back with “Proper Credit”, he had my head bobbin’ like never before. This is definitely the new and improved Pak Man 2.0. His ability to tell stories has also jumped to a new level. The man has had numerous life experiences that he expresses eloquently through his verses – and he’s done just that with this track. 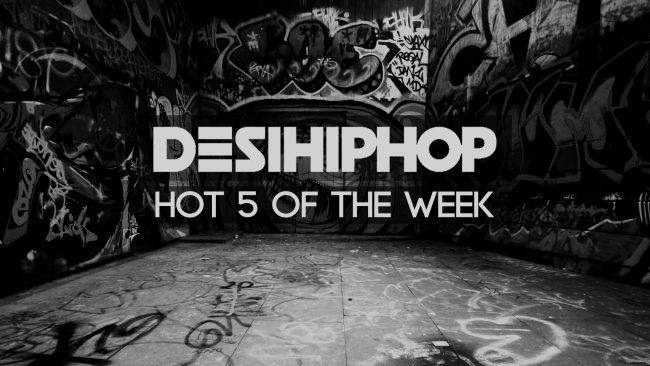 We hear that there is a dope remix planned for this track – with the likes of Guru Lahori? But, nah, we’re not gonna confirm whether that’s true or not. You will have to wait for that to come out, just like we do! Stream or Download “Proper Credit” by Pak Man here. Grind Music recently dropped “Japan”. In fact, this was one of the most awaited releases from their end. After teasing for a few weeks, “Japan” finally came out this week. Young Charsi has produced a straight heavy bass-driven banger. Vivaad, however, opened up the track with his insane verse followed by Y.C. himself. Lakshya Parihar aka L.A. went third, Viper-X went fourth and Hyun finally closed the track. “Japan” is raw and all about the skills fused with mad lyricism. Mumbai-based rapper Enkore recently dropped “Check Me (My Privilege)”. This Blackout & RedMoney-produced instrumental has some sick dance-hall/reggae groove. In fact, Raftaar has used this same instrumental earlier for his track “Tere Wargi Nai Ae”. On the other hand, “Check Me” has been engineered by Wide Octaves. One Digital Entertainment has shot and edited this track for Enkore. Furthermore, Enkore’s version and Raftaar’s version are parts of the same #ISuperLikeYou campaign. Mankirt Aulakh recently collaborated with Fateh Doe on “Jail”. Its a commercial Punjabi track with an essence of Gangsta rap. Deep Jandu has produced this instrumental while the track was penned down by Inder Pandori. However, its a track with classic Fateh touch but with some extended bars. “Jail” came out through Speed Records and is currently trending at #25 on YouTube India’s charts. “Too Young, Too Damaged” came out on July 9, 2017. The EP features six tracks and the vibe in each track is consistent. Its not a regular project and this is why the EP had to be treated differently. In fact, Guwahati-India based hip-hop artist Rocky Glock is not a new name in the scene. On the other hand, his style of sound is a blend of mellow-auto tune driven vocals with hard lyricism. “Mehfil” is from the same EP. Rocky dropped the music video of the same track last week. Since, the audio of “Mehfil” was already out, the video was being highly anticipated. Rocky’s old associate A.Void has shot this video as well.